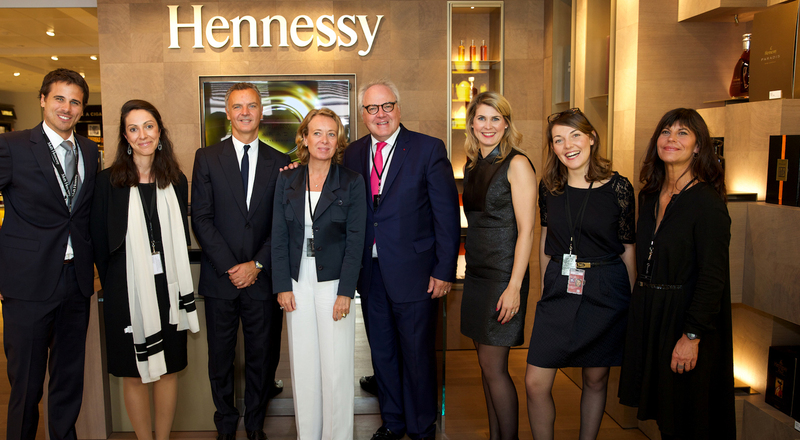 Moët Hennessy has for the first time brought together several of its most emblematic brands in a single shop at Paris Charles de Gaulle airport, offering a tasting and sensory experience in a unique space that showcases French excellence. 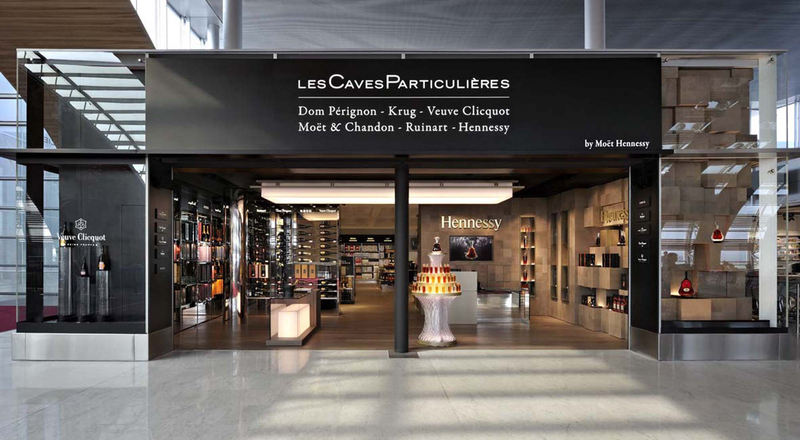 Since September 5th, travelers leaving from terminal 2E Gate K are invited to discover the excellence of Moët Hennessy Houses at a truly remarkable boutique called “Les Caves Particulières”, designed by architect Jean-Michel Wilmotte. 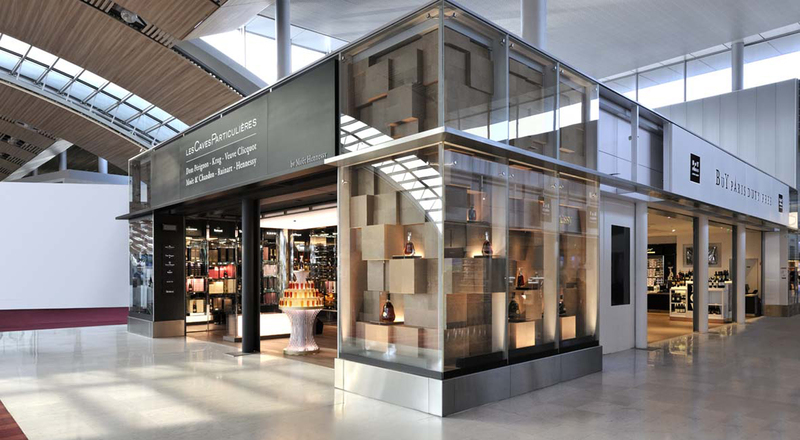 The wood and glass design evokes the barrels and bottles that hold the brand’s Cognacs and Champagnes. The shop features exceptional vintages and cuvées and proposes an unprecedented sales experience for wines and spirits, awakening all five senses. 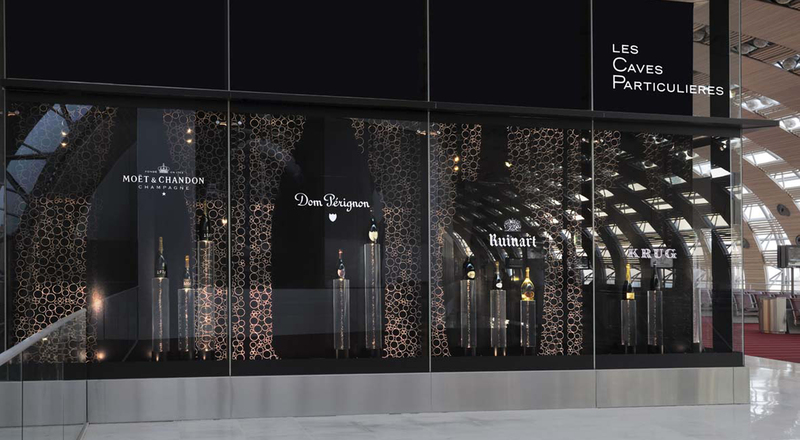 Moët & Chandon, Veuve Clicquot, Ruinart, Dom Pérignon, Krug and Hennessy each present their savoir-faire in this exclusive boutique. At the center is a Hennessy crystal “organ” that reveals the complexity of the assemblage of eaux de vie in crafting cognacs. The tasting table invites customers to discover the scents of these rare elixirs, associated with exceptional tastes, thanks to expert advice from the shop’s own oenologists. Tasting notes and cellaring recommendations are provided with each bottle purchased. Travelers’ hearing is also solicited by a sound experience that accompanies them as they visit the boutique. The voice of Dom Pérignon Chef de Caves Richard Geoffroy is heard when they touch a bottle of Vintage 2004, while a 1920s ballad plays when they pick up a bottle of Hennessy Privé. When the Grands Crus Cave opens, the extreme rarity of a Moët & Chandon Grand Vintage 1959, a Veuve Clicquot Vintage 1979 or a Dom Pérignon Œnothèque 1971, is accompanied by complete silence. 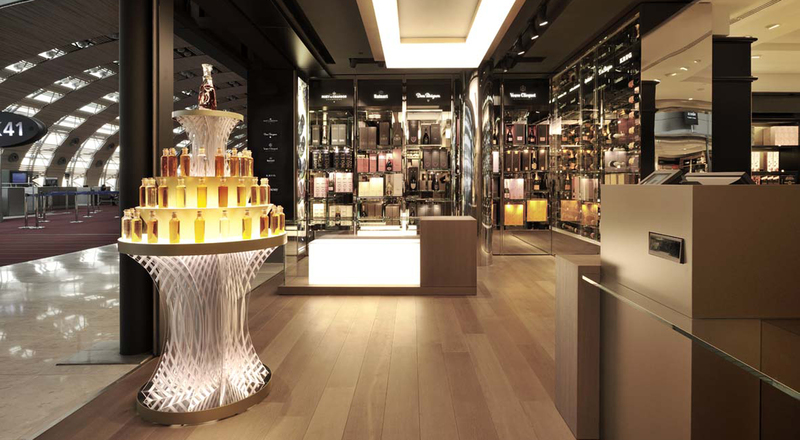 The sense of smell is stimulated by a custom-made scent based on vine flowers, created by Guerlain master perfumer Thierry Wasser. This transmission of heritage now has a name: Les Caves Particulières. Alcohol abuse is harmful to your health. Please drink responsibly.